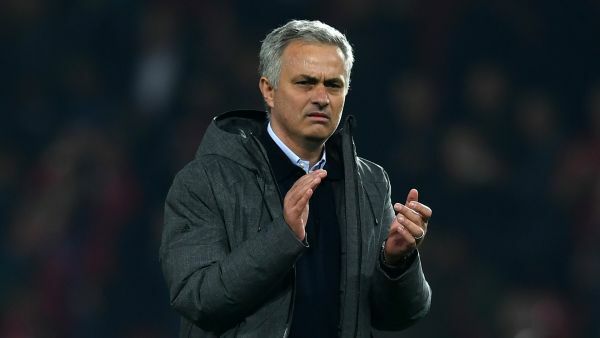 Manchester United boss, Jose Mourinho has lambasted his players for handing Manchester City rivals the Premier League title. Mourinho said the attitude of his players had changed following their victory over Manchester City last weekend. United suffered a 1-0 defeat to West Brom on Sunday evening – a result which handed City the Premier League title. Mourinho told reporters, “I won eight titles and I am not on the moon because I won against Manchester City. “I saw lots of people over the moon because we won against City. “You could see the difference in the attitude to players compared to last week. Asked if he was frustrated because City won the title on the back of United’s loss, the Portuguese said, “I have won titles, I would not be happy if someone said I won title because someone lost a match. 0 Response to "Jose Mourinho Reacts To Manchester City Winning EPL, Blast Man United Players"